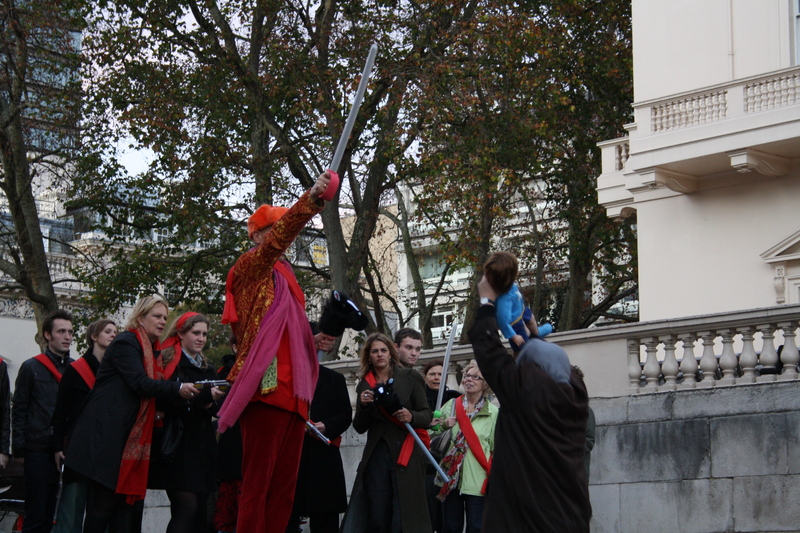 One interesting thing about living in a city like London is the opportunity to get involved in quirky little one-off events. 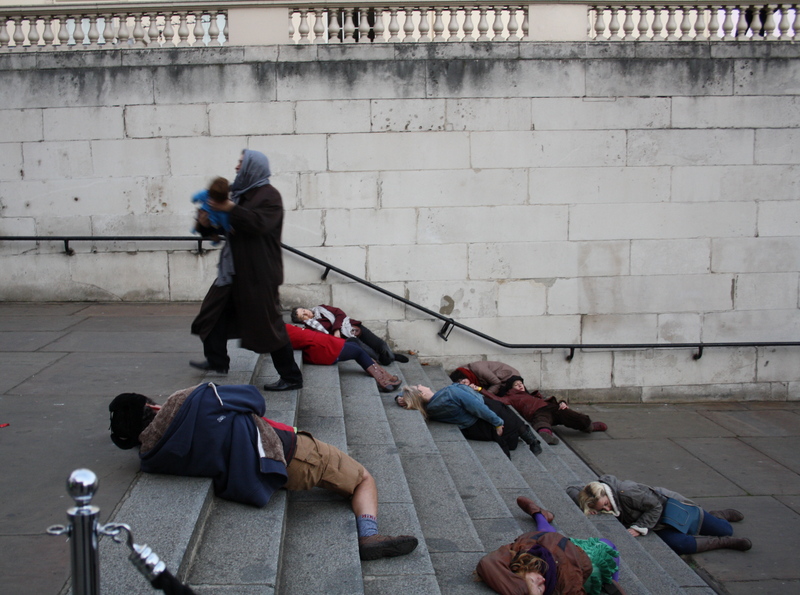 This is exactly what I got to do last weekend when I joined in the Institute of Contemporary Art’s (ICA) re-enactment of the Odessa Steps scene from Eisenstein’s 1925 silent film Battleship Potemkin. That’s me in the top right of the picture above, in the dusty pink jacket, and isn’t it great that in my first appearance in my own blog I am playing dead! ICA are planning to hold further re-enactments in 2012, so keep an eye on their website for more details. This is also the kind of event that I plan to promote beforehand now that the Londonphile is up and running, so keep an eye out here too. This entry was posted in Art, Film, Past events, Quirky London and tagged Battleship Potemkin, Eisenstein, film, film re-enactments, ICA, Quirky London, re-enactments by thelondonphile. Bookmark the permalink.